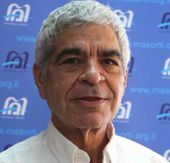 I administer the conversion program for the Masorti/Conservative movement in Israel, so I am familiar with our procedures and those of the Reform movement, too. Deri’s canard has been used for over two decades: “What is to stop some Reform rabbi from bringing thousands of Filipino caregivers to the ocean for conversion and, presto, we have thousands of new citizens?” Yet this reminds me of the old question, “Would my grandmother have been a trolley car if she had wheels?” The thought is silly and misguided. So is Deri’s concern. Our movements refrain from converting those here without residence visas. We send people who are not residents abroad for conversion in fewer than five cases each year (a process allowed by Israeli law and upheld by the Supreme Court). Where shenanigans have occurred it has been within the current government system where too many have been involved in conversion for pay (including a former chief rabbi and other Haredi rabbis currently sitting in prison or on the run abroad). Deri himself has spent time in jail for corruption, and police recently questioned him for over 11 hours in connection with another ongoing corruption probe. We, the Masorti and Reform movements, have informed the courts and the legislators that we would abide by an “Exceptions Committee” similar to the committee that exists today for rabbinate conversions. Only nonresidents living here legally (for example, a student who may be here studying for a doctorate in Jewish thought and comes from a country where conversion is not an option) would come before such a committee. Converting a nonresident would happen only with the approval of such a committee. Illegal aliens would be ineligible. Deri’s claim belongs on the trash heap of lies spread by those who have no legitimate legal or moral arguments. Deri also claimed that by introducing the Conversion Law he was “preserving the Jewish character of the state,” Exactly which aspect of the Jewish character? The Judaism with which I was raised and that I practice prohibits misleading others, profiting through corruption and promoting lashon hara , or defamation/evil speech. There are those in North America who have asked if this Conversion Law affects them. The law is intended to invalidate Conservative and Reform conversions performed in Israel. But does any reasonable person think that the law as proposed will be the end of such legislation? Conversions performed by most (yes, most) Orthodox rabbis in the States are not accepted by the official rabbinate. Those wishing to make aliyah (immigration to Israel) must provide letters from recognized rabbis, attesting to their Judaism. Letters written by prominent Orthodox rabbis living in North America are routinely rejected by the rabbinate. This is the body to which Deri seeks to give over all control of conversion issues in Israel. What happens in Israel has a profound effect on Jewry the world over. There was a time when our Chief Rabbinate was Zionist, more open and served the people. This is so far from today’s reality. Virtually every religious area that has been given over to the government rabbinate has fallen prey to corruption. Areas such as kashrut, burial, conversion, divorce, ordination, mikvehs and more have become embroiled in controversy and even criminal activity. Drei’s claims are perfect examples of “the pot calling the kettle black.” We deserve better. This story "The Ultra-Orthodox Lies About Conversion" was written by Andrew Sacks.